After focusing on customer trade execution, TradeProofer is introducing a version of TickRadar to help brokers support their clients. After launching its services to retail customers, TradeProofer now has its eyes on the broker market. Being shaped for the broker market is TradeProofer’s transactional cost analysis (TCA) tool, TickRadar. Initially geared towards retail customers, TickRadar allows customers to connect their MetaTrader 4 accounts or upload individual completed trades made on the other platforms. TickRadar then compares customer price executions versus those of the overall market. Along with using spreads from numerous brokers as a reference price for comparing executions, TradeProofer also crowdsources execution prices from connected accounts to help calculate a more accurate reflection of how brokers are filling trades at given times. 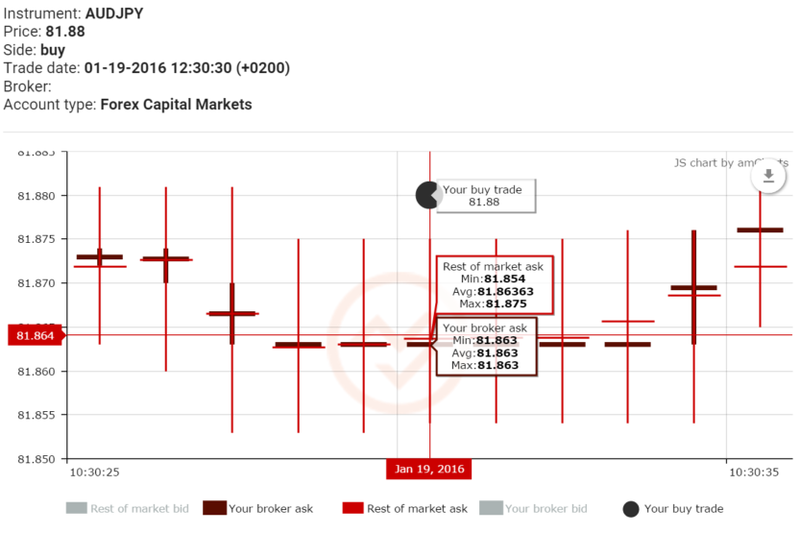 For retail customers, TickRadar displays executions that are out of the market to help them understand if a faulty trade price should be raised with their broker. For brokers, the service has been evolved to serve as a trading desk support tool. Upon receiving complaints from customers about bad executions, broker support staff are able to upload the details of the trade in question such as time, instrument and buy/sell order. TickRadar then compares that execution to pricing being distributed by the broker and renders a chart with the customer’s execution price and market prices at the time. In situations where executions are satisfactory, the broker can share the URL of the created pricing chart with the customer or email them the image directly. When a customer is correct in the complaint, TickRadar’s chart makes it easy to understand what proper pricing is to both reimburse customers as well as advance a query of the execution problem with their liquidity and data providers. According to TradeProofer, the firm believes that brokers using TickRadar’s semi-automated solution will be able to reduce the review time associated with handling customer complaints compared to the typical manual processes used by trading and support desks. The product is currently in advanced beta testing with brokers with an expanded roll out planned for February.